As a Veteran Owned Business, Fleet Feet Annapolis and Severna Park is pulling out all the stops for Veterans Day. 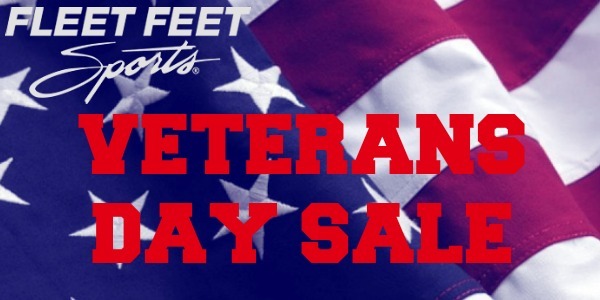 Don't miss our Veterans Day Sale. From November 11th through the 15th get up to 50% off "vintage model" shoes and 50% off all clearance items. *While supplies last. All sales are final. Free Gift with Valid Military ID. Discounts may not be combined with any other offer. Discounts apply to in-stock items only.